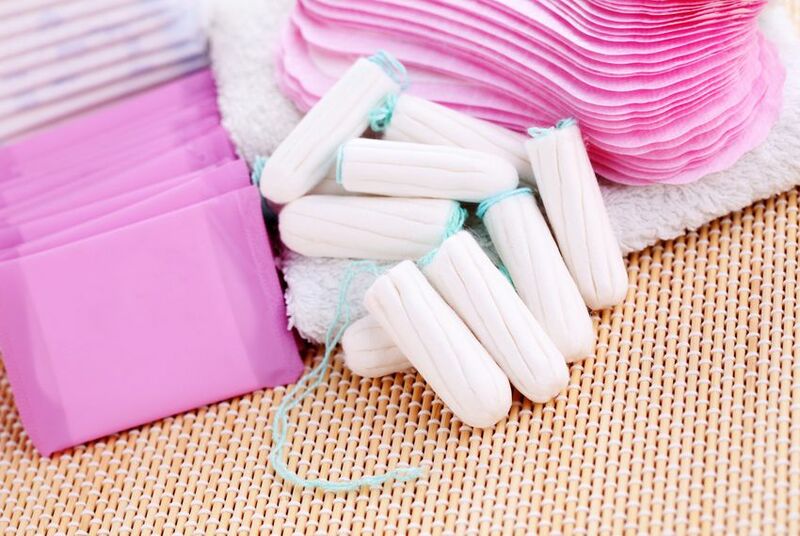 Following the political lead of several northern states, six Texas lawmakers have filed bills to eliminate sales tax on feminine health products used for menstrual period hygiene, including tampons, sanitary napkins and menstrual cups. If passed during the 2017 legislative session, Texas would become the first southern state to implement tax cuts on tampons, joining New Jersey, Minnesota, Pennsylvania, Massachusetts, New York and Maryland. The other bills were filed by five Democrats, including state Reps. Donna Howard, D-Austin, Carol Alvarado, D-Houston, Ryan Guillen, D-Rio Grande City, Eddie Rodriguez, D-Austin and state Sen. Sylvia Garcia, D-Houston. "It seems to be, in my opinion, a no-brainer in terms of [tampons] being a medical necessity and certainly not a luxury item," Howard said. "The purpose here is to give women a little break to get in line with other things that are already tax exempt and not discriminate against these women in terms of an item that they use regularly and need." Under the Texas tax code on health care items, health supplies already exempt from sales taxes include over-the-counter drugs and medicine like cold remedies and analgesics, prescribed drugs by licensed physicians, insulin and dietary supplements. Condoms were included in 2000 as part of the over-the-counter health items to prevent the spread of sexually transmitted diseases, but they are no longer exempt from sales tax, according to state comptroller's office spokesman Kevin Lyons. Lyons did an estimate on the fiscal implications of sales tax exemptions for feminine hygiene products during the next biennium. The revenue loss is estimated to reach $19.3 million in 2018 and expected to increase to $20.4 million in 2019, though Lyons said estimates could change depending on the exact language of the bills. But Howard said it is a necessary statewide law for women. "Anything that takes revenue streams out of the state budget is always going to be challenged, and rightly so, but we have taken a lot of revenue streams recently out of the budget that are much larger than this," Howard said. "This is a small amount of the large budget that we have, and it's really a matter of fairness and parity." Alvarado said that the bill will hopefully pass with a bipartisan support, arguing that a tax burden on tampons affects all women, whether they are Democrats or Republicans. "You ought to be sharp enough to realize it poses an unfair financial burden on women for something that we don't control," Alvarado said. "It's something that every woman is going to encounter in their life." The Legislative Budget Board picked 8 percent as the growth rate in the state’s two-year budget, capping how much lawmakers can spend in next year's legislative session. Lawmakers say the state doesn't have enough money to reach that cap. Lt. Gov. Dan Patrick signaled an aggressive conservative agenda for the senate with his priority list, while House Democrats promised to focus on "kitchen table" issues.